The Minnesota Corn Growers Association (MCGA) and its grower leaders have worked closely with outside organizations like the U.S. Grains Council to build export markets for American agriculture. By hosting delegations from across the world and traveling abroad to see export market opportunities up close, Minnesota’s corn growers are building relationships that will lead to a more sustainable future for our state’s ag sector. Minnesota’s agricultural production exceeds $16 billion annually, making it the fifth largest in the country. Supporting agriculture is the export market, with more than a third of the state’s agricultural sales occurring abroad. To better support the state’s economy as a whole, Minnesota corn growers are working to ensure we build our customer base across the globe. 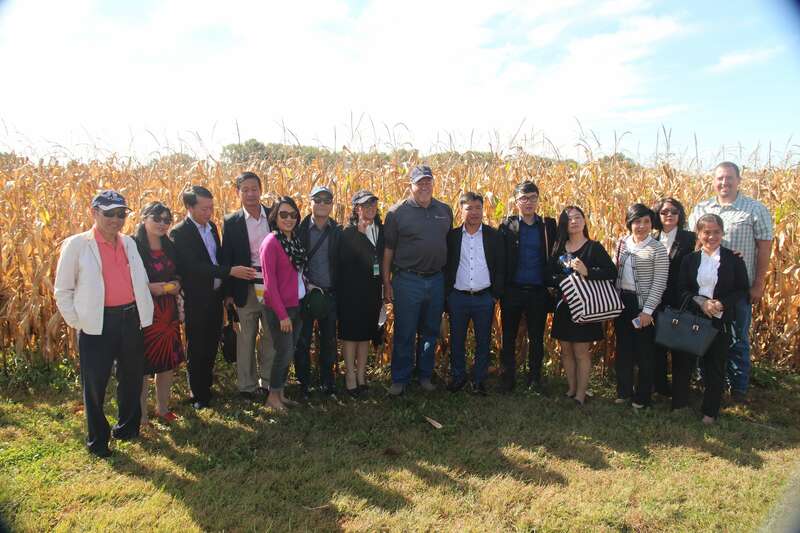 In 2017 alone, Minnesota’s corn growers hosted government officials from China, Canada, Mexico, Japan and Kazakhstan; and industry visits from Japan, Mexico, India, South Korea, Morocco, Egypt, Algeria, Tunisia and Ecuador. And in return, MCGA grower leaders are going abroad to countries like Taiwan, Morocco, Japan and Cuba to promote Minnesota agriculture and build long-lasting relationships with new partners. Following engagement with Taiwanese grain buyers, the group increased their purchasing of U.S. corn and byproduct with an export value of more than $15.8 million. Outreach with Turkey has led to the purchase of more than 100,000 metric tons of U.S. corn and byproducts, totaling more than $18.2 million. And since 2016, more than 100,000 metric tons of U.S. agricultural products have been exported to North Africa and the Middle East with a value of more than $18 million. The progress made to date has improved the sustainability of the state’s 24,000 corn farmers, subsequently benefitting Minnesota’s economy. 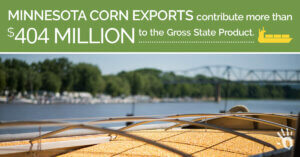 It is one of many ways MN Corn Grows MN. MN Corn Grows MN was launched last summer to encourage more dialogue about the impact of corn farming on all of Minnesota. Learn more at MNCornGrowsMN.org or follow our Facebook (@MinnesotaCorn) and Twitter (@MNCorn) profile. Join the conversation by using #MNCornGrowsMN and sharing how the corn sector is benefitting your community, profession or everyday life.